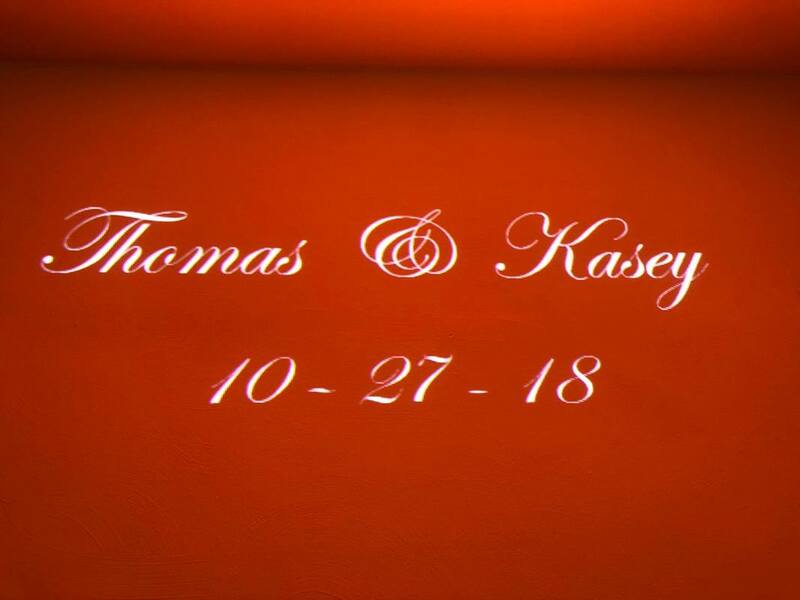 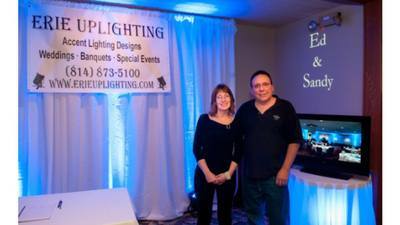 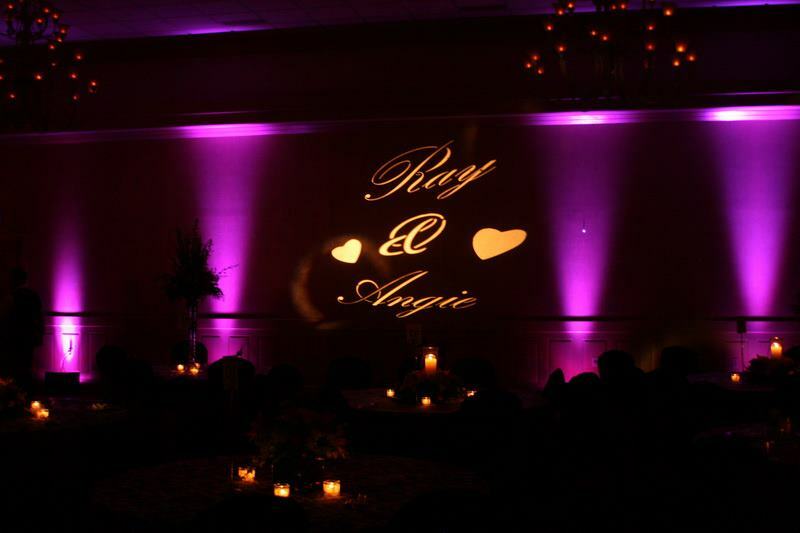 Our talented graphic designer Sandy Mcgraw, can custom design your company logo, monogram initials or bride & groom names in the style font lettering that you choose. 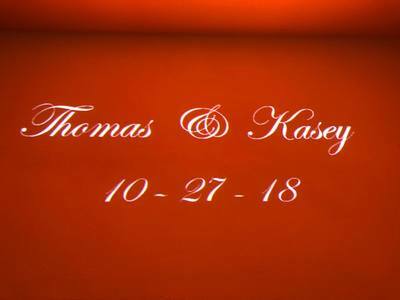 We can even add the date you were married below your names. 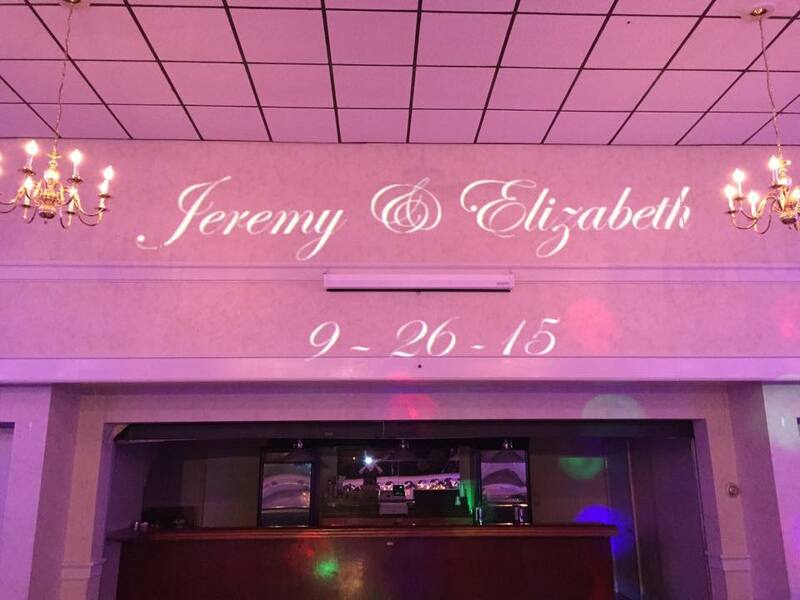 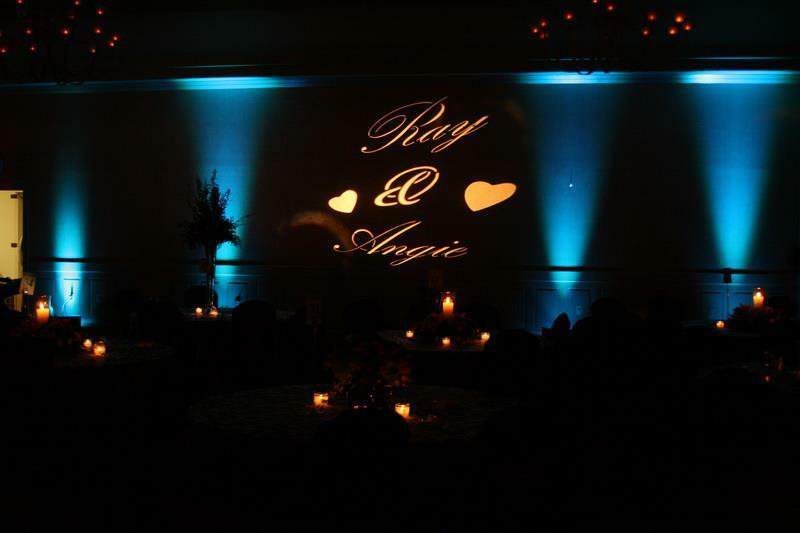 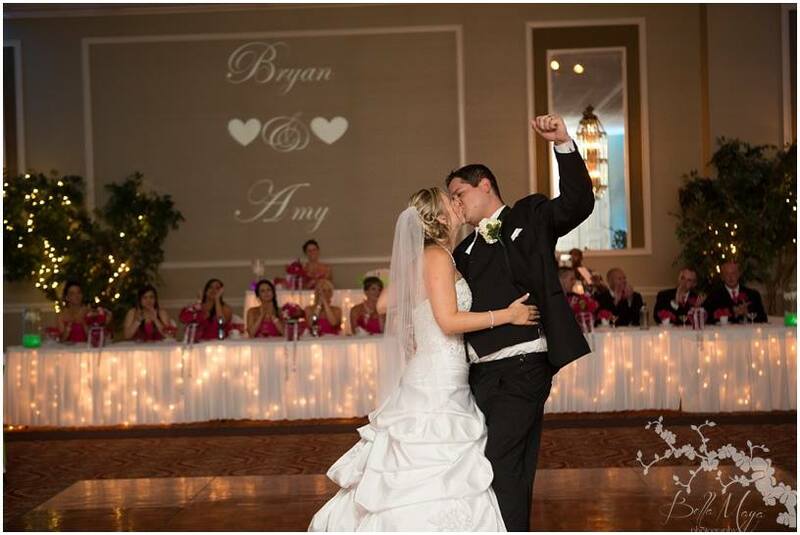 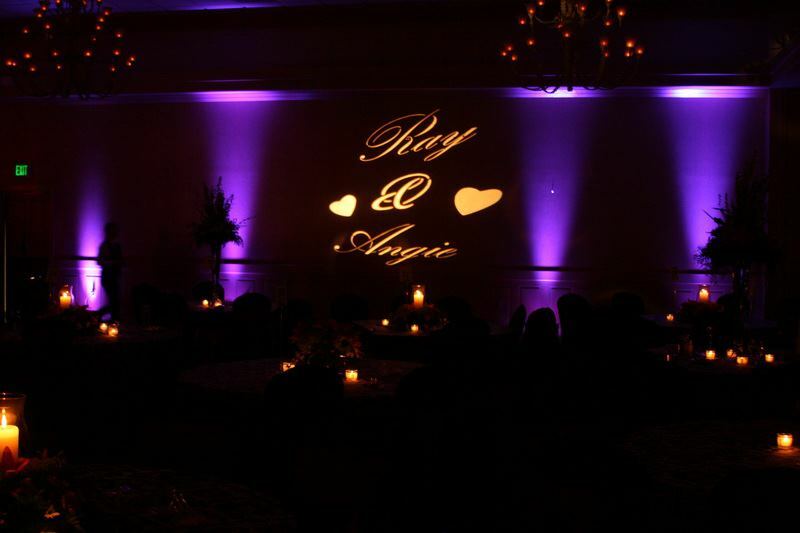 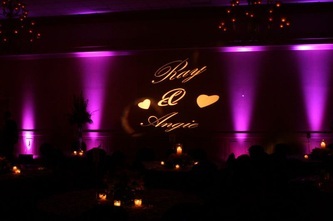 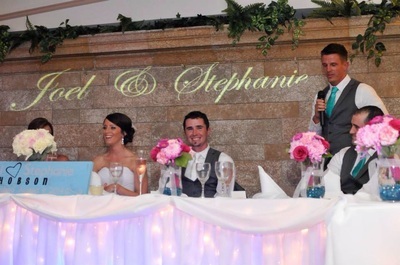 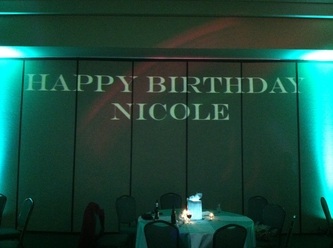 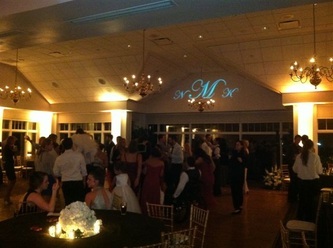 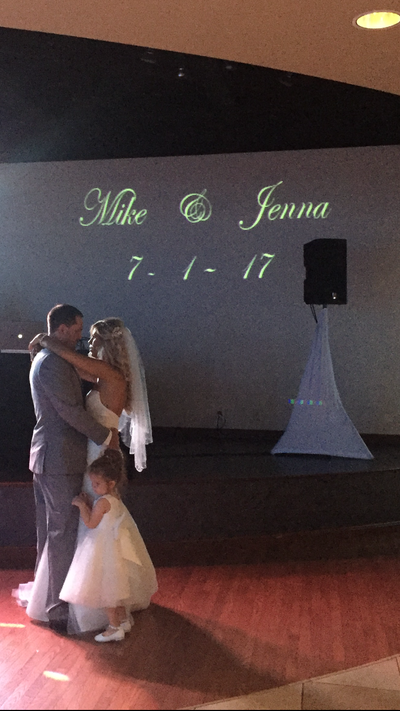 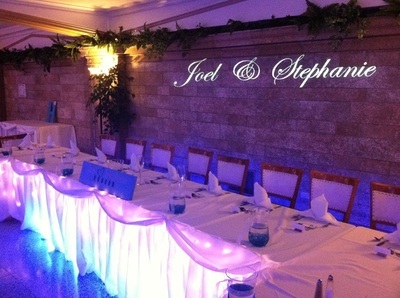 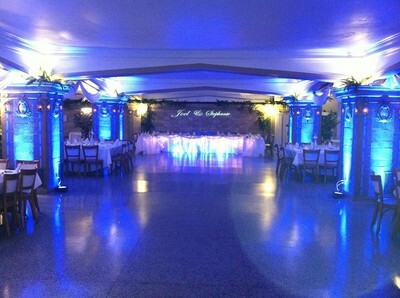 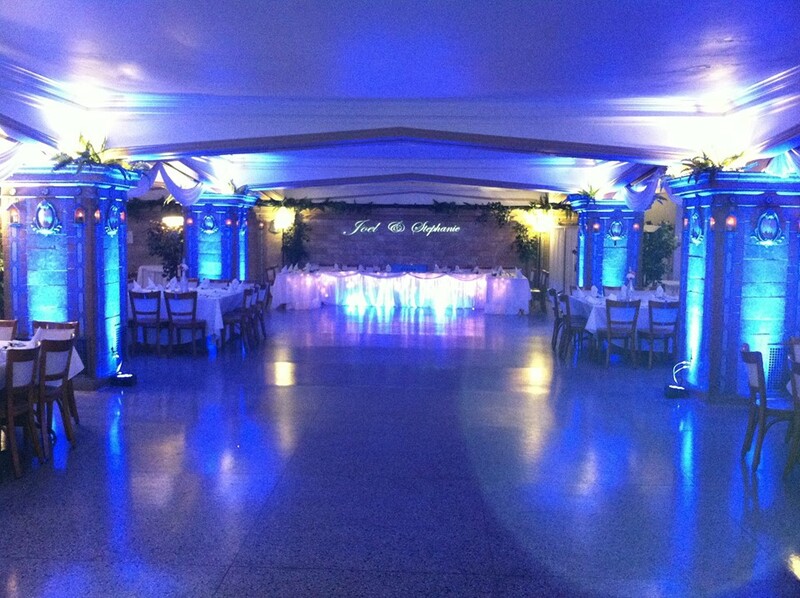 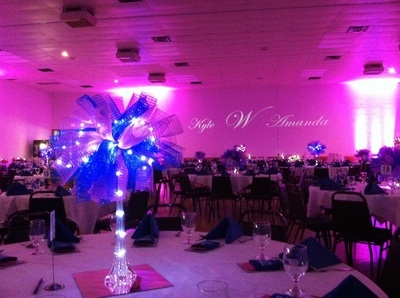 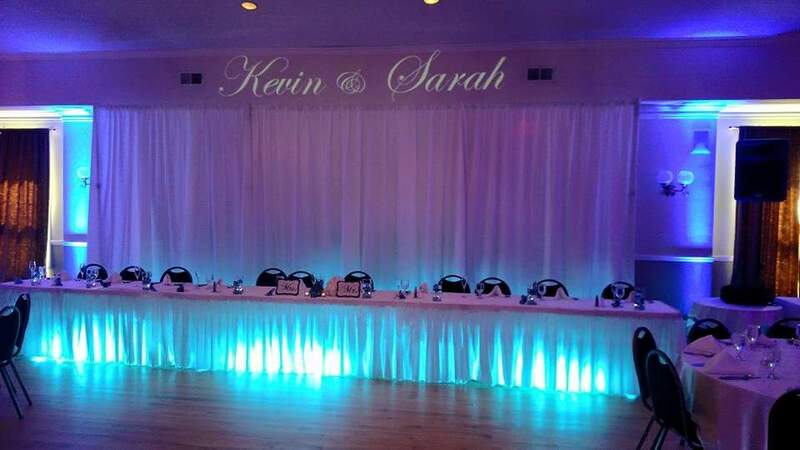 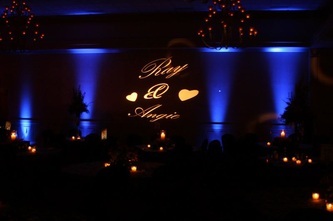 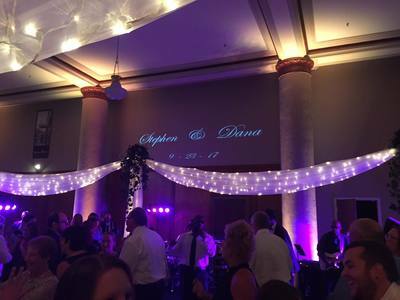 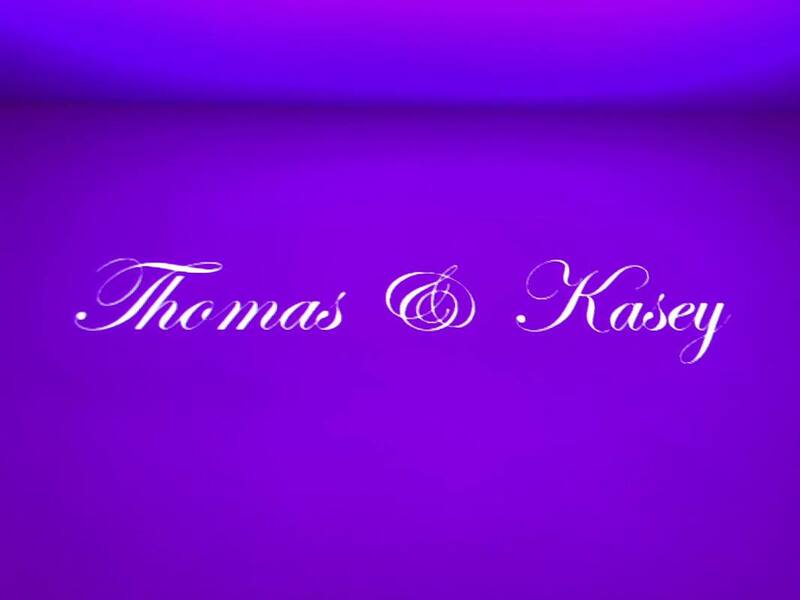 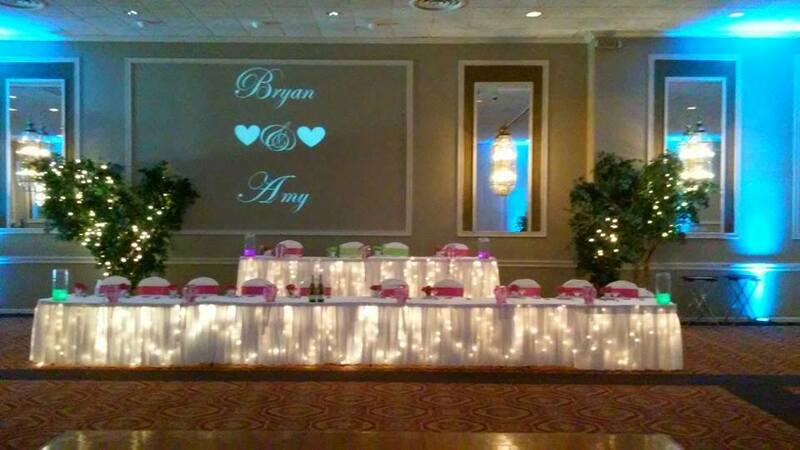 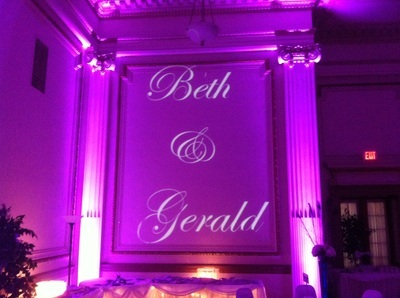 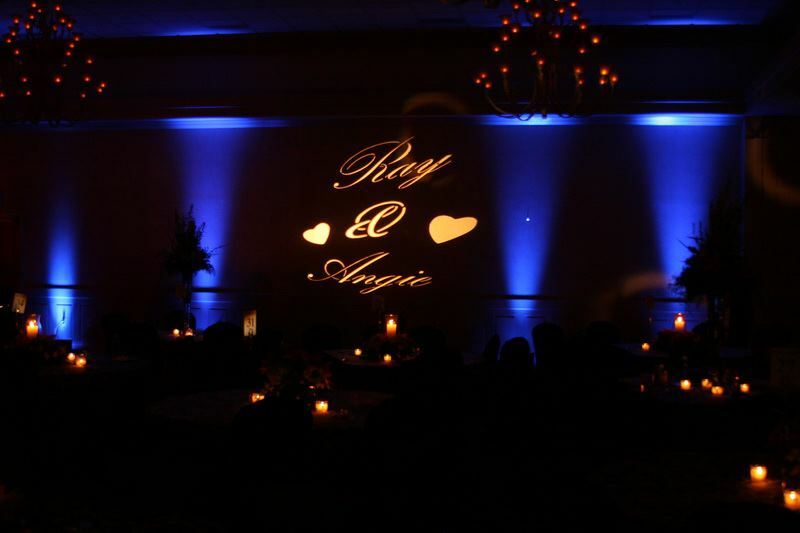 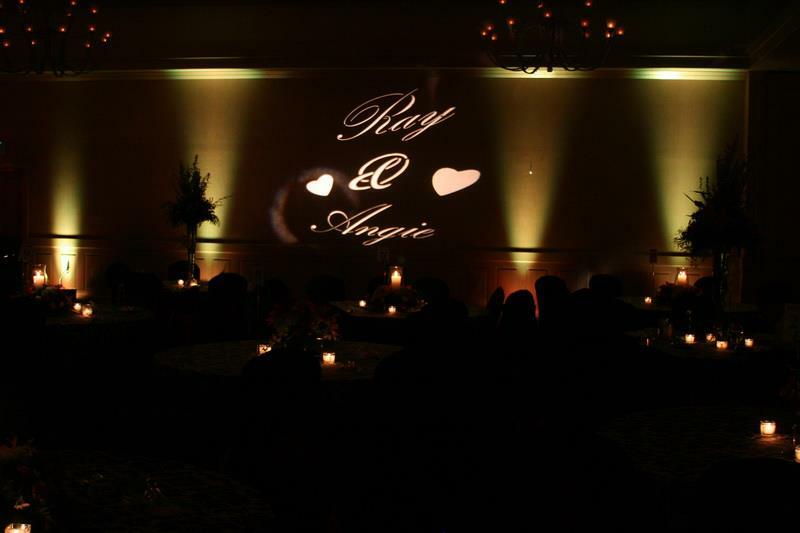 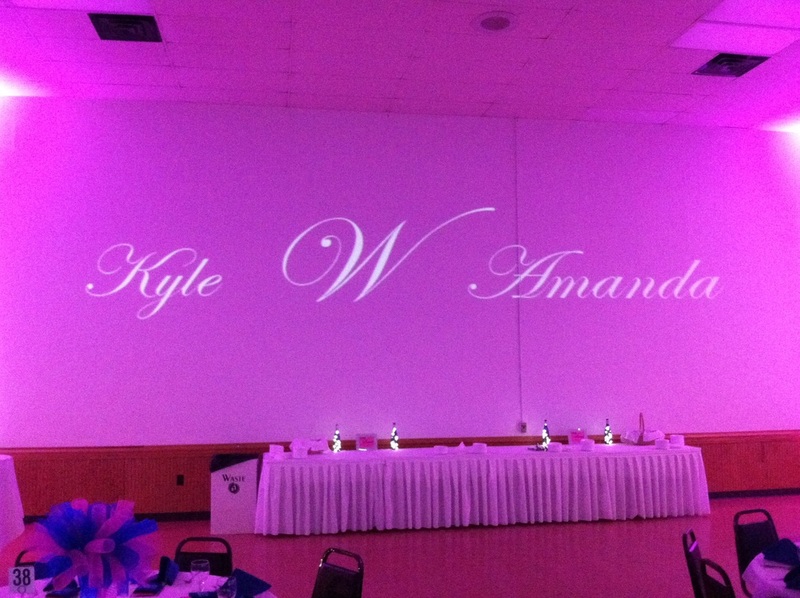 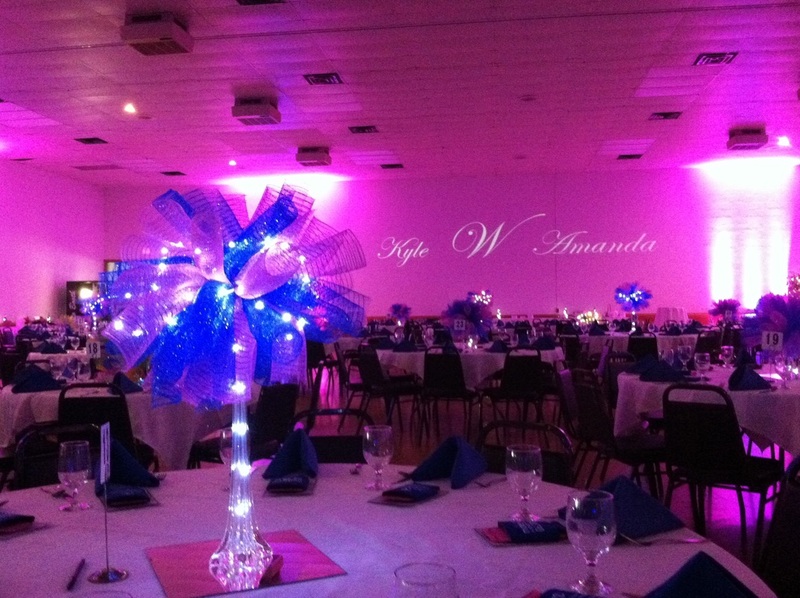 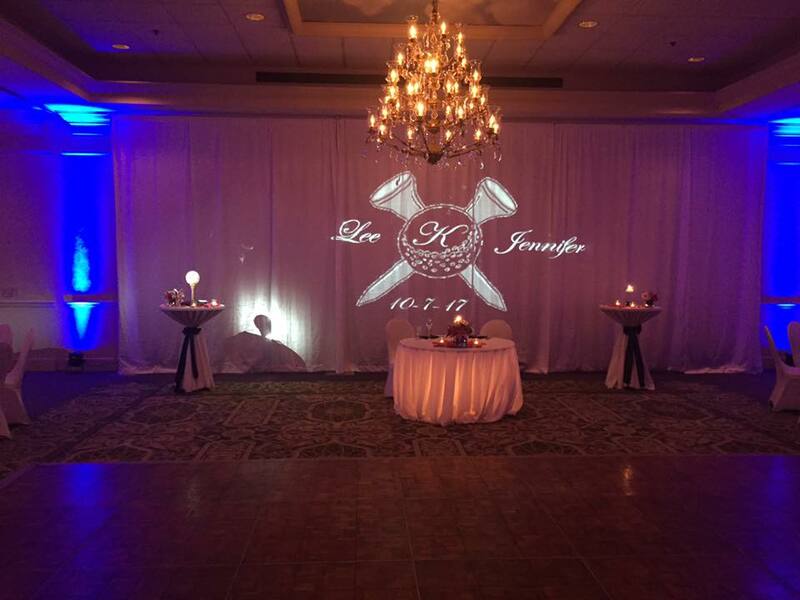 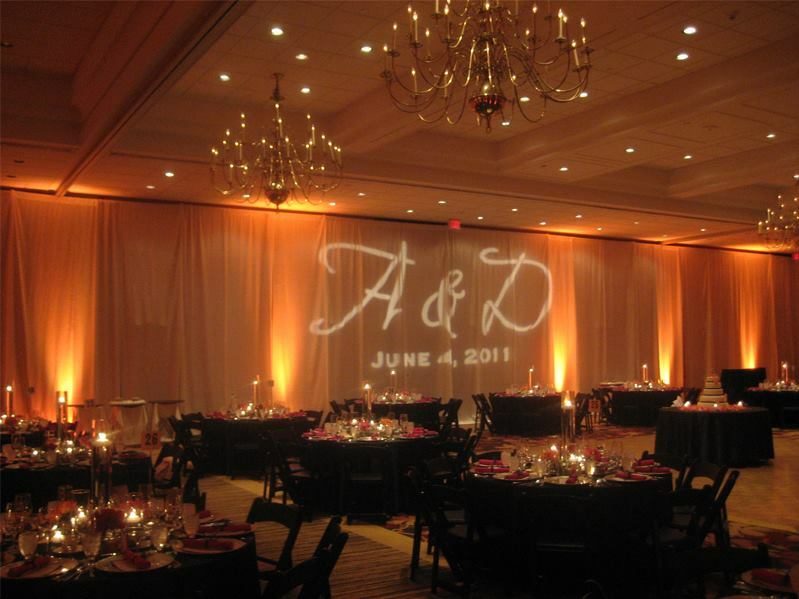 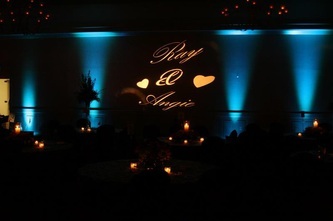 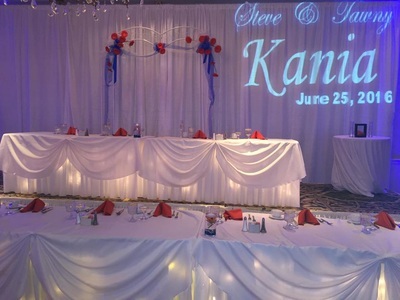 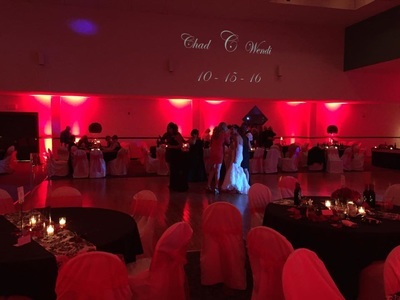 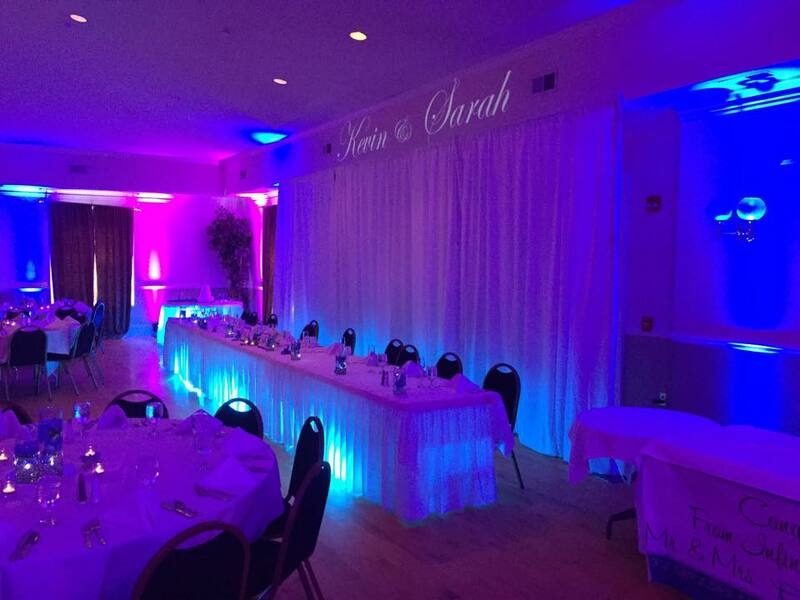 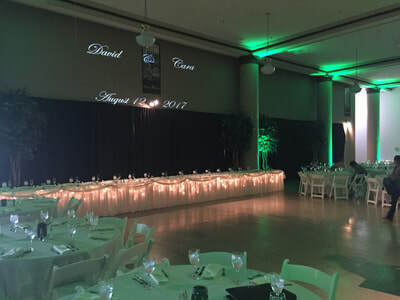 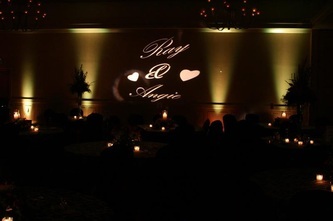 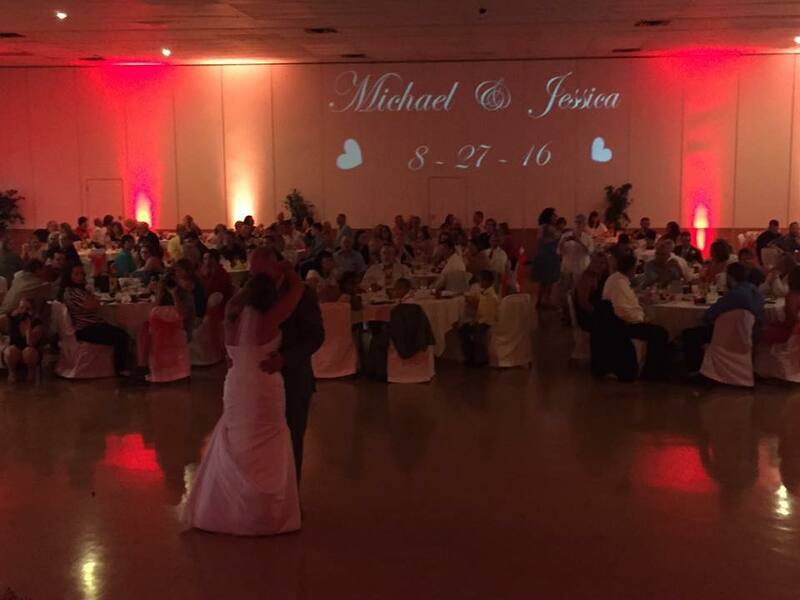 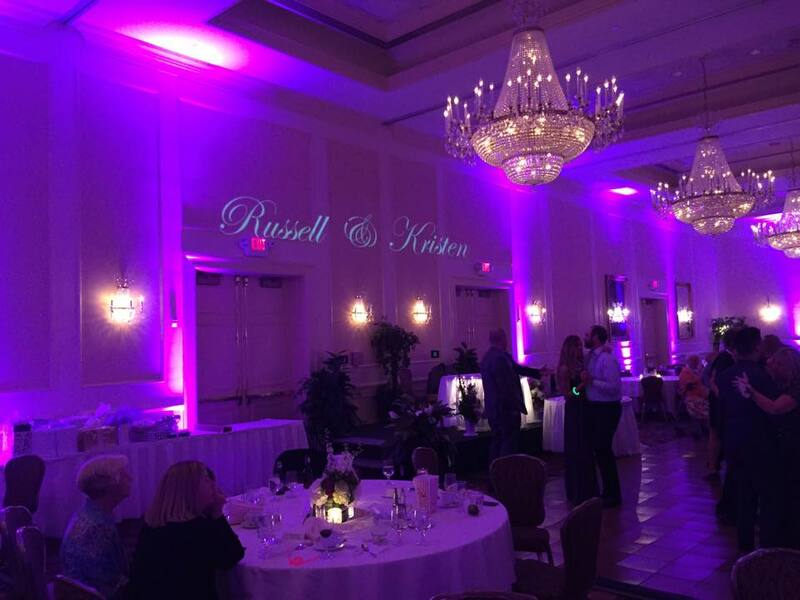 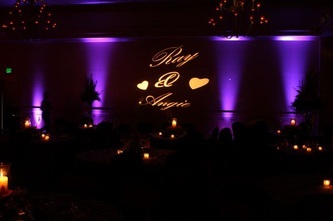 The image is then projected on the wall above the bridal head table or on the dance floor or wherever you would like it. This elegant image is great to have in the background of your bridal photos!